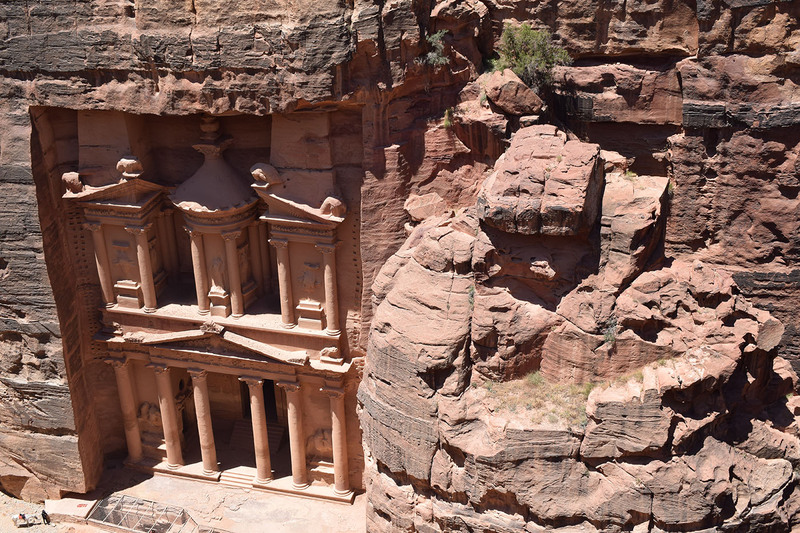 Images abound of the Treasury, that structure hewn out of an 800-metre tall rock face at Petra, but what of the rest of the Nabataean stronghold affectionately known as the Rose City? 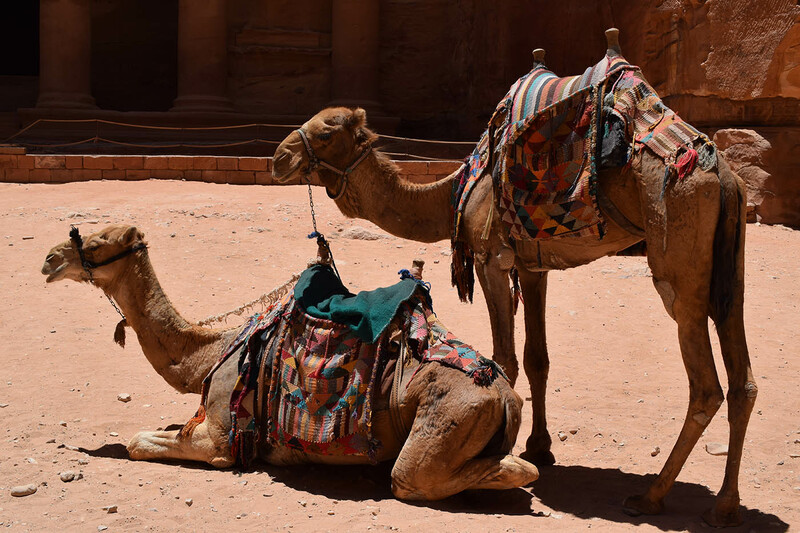 While it is unthinkable to visit this part of Jordan without seeing the Treasury, Petra is home to 800 other monuments, meaning there’s much more to discover beyond the headline act, made famous by Indiana Jones. 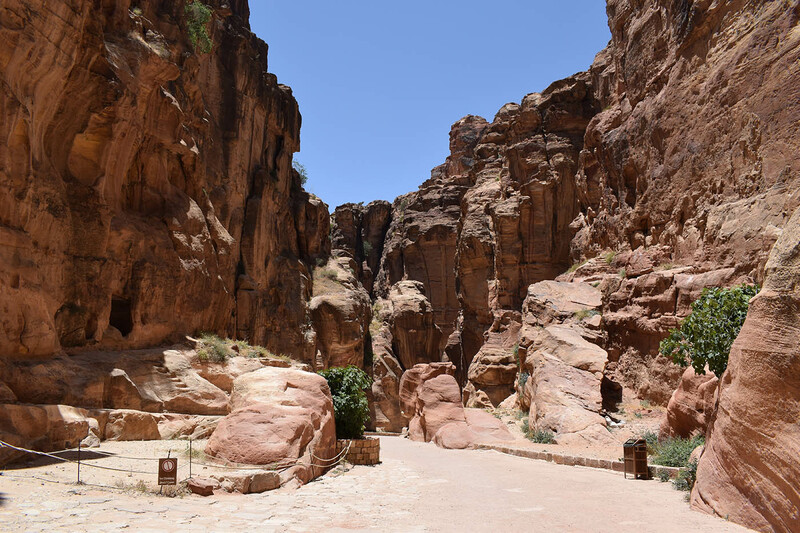 We came to Petra from what seemed like the opposite direction to everyone else visiting Jordan, arriving in Wadi Musa – the closest town to the United Nations Educational, Scientific and Cultural Organization (UNESCO) World Heritage site – from Wadi Rum. 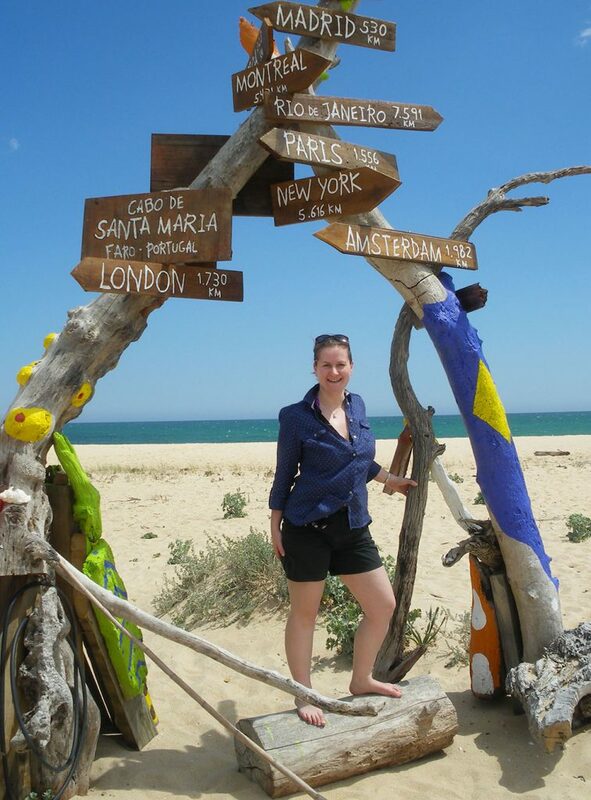 Here we had spent several days on a tour of the desert and met various other tourists. Gina, an Australian, had recommended going to Petra by Night on the first evening that we arrived. Even though we had driven all the way from Wadi Rum after a long day in the desert, we showered and made our way to the site. After all, Gina had said this was the best way to get your very first glimpse of Petra, and she certainly wasn’t wrong. The Nabataeans chose to build their capital in a strategic spot that was easily defensible. There are only two routes into Petra and the main one is down a 1.2-km canyon known as the Siq. 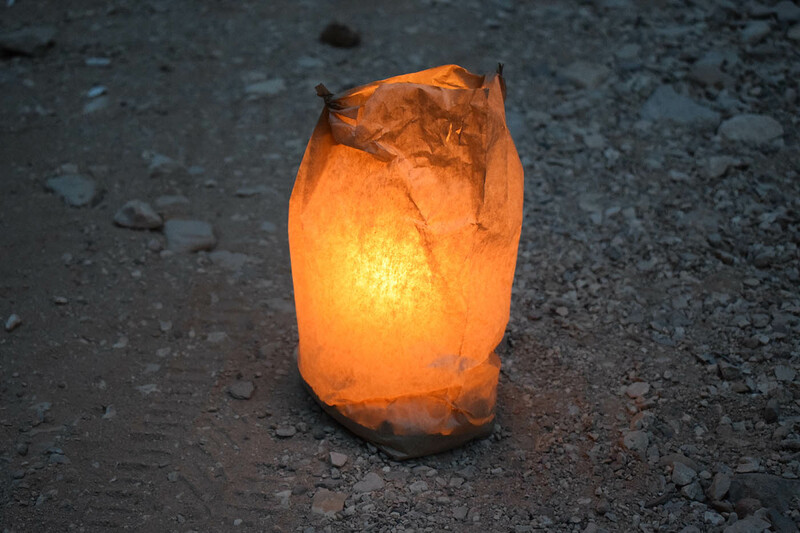 Once it gets dark, some 1,500 lanterns are laid out along this ancient pathway. These are made out of simple brown paper bags filled with sand, where a candle is nestled inside. They transform the Siq into the most atmospheric scene you could imagine. Shadows from the candles cast all manner of contorted shapes up the walls of the canyon and we slowly followed its route, keeping our voices hushed. Upon reaching the end of the Siq, the way opens up and you catch your first glimpse of the Treasury. Shrouded in darkness, it loomed up above us, instantly familiar but totally overwhelming in terms of size and impact. Grabbing my friend’s hand, we both simultaneously burst into tears. Sat on rugs laid out in front of the huge façade and listening to traditional music being played, we accepted tea from a local who came around with a huge kettle, pouring cups for each of the guests. All activities in Jordan are accompanied by tea! Sitting in front of the iconic structure, we had a little time to take in the fact that we were actually here. This wasn’t a documentary about archaeology or a screening of Indiana Jones and the Last Crusade. We were in Petra and she was only just beginning to open up her secrets to us. 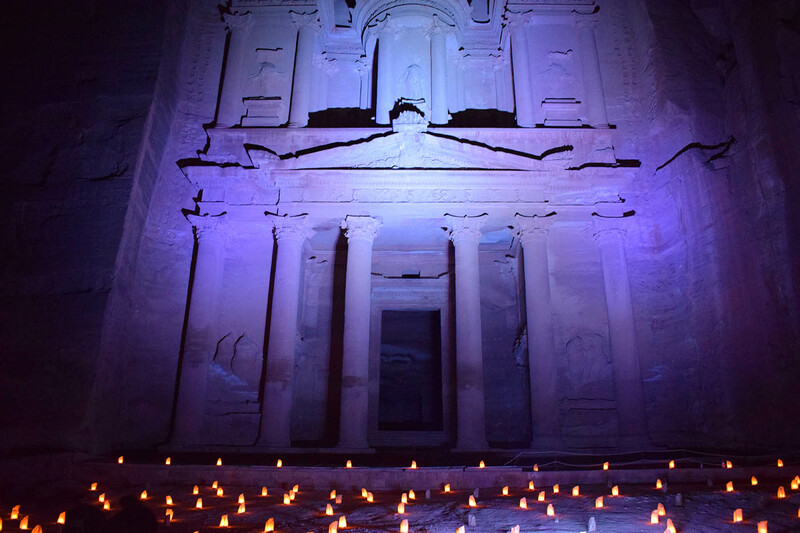 After a short talk about the history of the place and its significance in Bedouin culture, the Treasury was fully lit up and we saw her properly for the first time. The next day, the events of the previous night felt like the most awe-inspiring dream, but making our way back down the Siq in the daylight, it felt like we were already becoming accustomed to her twists and turns. Running along the walls on both sides of the canyon are channels that were carved into stone by the Nabataeans. They ensured a constant supply of fresh water flowed into Petra, helping the city to flourish. We arrived at the Treasury once again. It looked quite different in its pink tones from the sun, with camels and donkeys lazing in front of it waiting for tourists to transport further down the valley. We gazed at its beauty and tried to take it all in, before continuing on our way. As soon as you leave the direct vicinity of the Treasury you’ll notice fewer people, and the more we explored throughout the next couple of days, the sparser the number of tourists became. In fact, there were several of our hikes in which the only other people we saw were Bedouins going about their daily lives. It’s probably the last thing you want to do in the Jordanian heat, but hiking is the best way to make the most of your time in Petra. Over two days we took various trips from the wadi floor and saw some incredible sites. The first of these expeditions was via a set of stairs not far from the Roman Theatre, which took us up to the High Place of Sacrifice at the top of Jebel Madbah. It was a hot climb, but well worth it for the views from the top. At this point, with the whole of Petra spread out in front of us, it became clear just how extensive the site is. Tell-tale clues to the significance of this hilltop setting can be seen carved into the rocks. Sacrificial altars – complete with circular chambers and channels to allow the blood to flow away – can still be seen despite the passage of time. The Nabataeans carved directly into the soft rock to produce not just their now world-famous façades, but all manner of useful infrastructure, including stairs and dwellings. When you hike to the High Place of Sacrifice you don’t have to come back the same way. In fact, it would be a shame to do so, as you’d miss some of the incredible monuments along the route down the other side. Eventually you will reappear by the Crusader Fort down in the wadi basin, but it would be several hours before we arrived there and were once again amongst tourists. We passed numerous caves, small stalls set up by Bedouins to sell their wares and various tombs. A lion carved out of the rock had once acted as a funnel to guide water out of a spring for the thirsty inhabitants of Petra. While the spring had since dried up, the regal beast remained in position on the hillside. By this point we were ready to enjoy the lunch of fresh bread, canned sardines and sticky peanuts that we had bought in town earlier in the day. After hiking in the heat, sitting in it to eat was not appealing to either of us. Luckily, the ancient Nabataeans had provided the perfect solution. A tranquil colonnaded space known as the Garden Tomb offered the shade we so desperately sought. Seated inside the monument and trying to comprehend that it hadn’t been built, but hewn out of the rock in what is surely the antithesis of construction, we tucked into a simple, yet very satisfying, lunch. It’s strange to think that we could be in Jordan’s premier tourist site and sit in such a place without ruining the photos of other tourists, but we had the space completely to ourselves. Among the must-see sights in Petra is the façade known as the Monastery. It is located up in the hills at the top of an 800-step ascent, and we tackled these stairs in the relative cool of the late afternoon in order to coincide with sunset. Just two other tourists were hiking the route at the same time, and as the wind picked up and sand was whipped into our eyes and hair, they raced on ahead. We were not completely alone, however, as two Bedouins on horseback, who were keen to chat as their small horses picked their way up the trail, kept pace with us. Reaching the top, we saw the two Spanish tourists were taking the last of their photos before beating a hasty retreat, as the wind blew through the col at the intersection between the two mountains, where the Monastery sits. Once again, it was just us and the Bedouins who ply their trade in Petra that witnessed the beauty of the rocks glowing pink as the sun started to disappear below the horizon and the temperature dropped. It was hard to be bothered by the wind in such a location. I enjoyed your lyrical descriptions of visiting Petra – I felt like I was there! And your photography is beautiful. 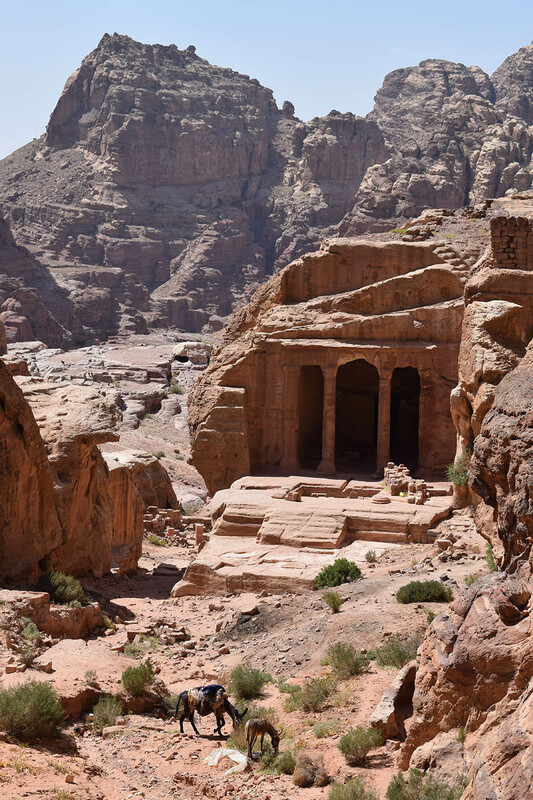 Fantastic tips on exploring off the beaten path in Petra, which I’ll definitely bear in mind when I make it to Jordan! Thanks Jonathan. 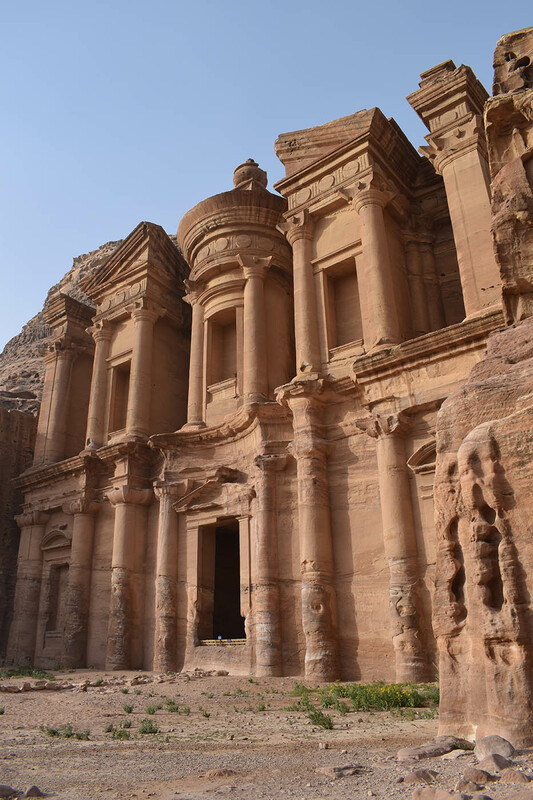 It’s definitely worth exploring more of Petra, because the Treasury is just the beginning. Hope you make it there soon. You really paint a wonderful picture with your words! My own writing is still improving. I really love your story and now I am dying to learn more about the history of Petra. I will definitely be travelling there one day! I’m really pleased you enjoyed reading it Keri and I look forward to reading your account of a visit to Petra too one day. Feel free to get in touch if you ever need any advice on planning such a trip. In the meantime, happy travels and happy writing. What a shame that you didn’t have a good experience at the airport. All the Jordanians we encountered were incredibly warm and welcoming. I hope you make it back to Jordan at some point to see Petra, as well as other gems like Wadi Rum and Madaba.